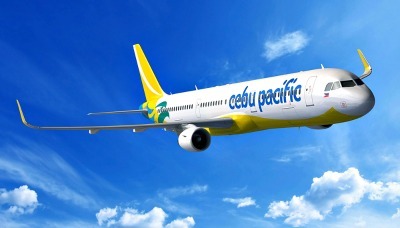 The Philippines' leading carrier, Cebu Pacific (PSE: CEB) goes all out in its customer-first initiatives, with the unveiling of its Customer Command Center. CEB is among the first airlines in Asia to invest in an integrated facility and technology for social intelligence and customer engagement. Tasked to assist travelers on their concerns and inquiries, the 24/7 command center is equipped with social monitoring, publishing and engagement tools. The CEB command center, which went online last August, is manned by a 55-strong integrated customer care team. Aside from CEB's official Facebook and Twitter pages, they also handle schedule changes through the hotline. The team also works closely with the airline's Network Control Center, especially during weather or other flight disruptions, so it can provide passengers with the most updated information and options. The integrated CEB Customer Command Center has created a heightened awareness of customer needs. Since the facility was put online, response time on CEB's official social media accounts went up from two days to hours, even as fast as eight minutes. "The Customer Command Center is the physical representation of our enhanced customer-first efforts. Our long-term goal is to build lasting relationships with our customers, and this is an airline-wide initiative, driven by data, technology and a lot of heart," said Candice Iyog, Vice President for Marketing and Distribution of Cebu Pacific. CEB has been ramping-up investments to boost customer satisfaction and experience with the airline. The carrier aims to improve its Satisfactory Rating from its own passenger post-flight surveys over the coming months. Aimed at improving and personalizing communications with customers, the Customer Command Center allows CEB's customer care team to better address passenger concerns by providing relevant and timely information and updates. The facility makes it easier to engage customers and understand how CEB services are resonating with them. Shashank Nigam, CEO of SimpliFlying, a leading global aviation marketing consulting firm, for his part, noted that social media has become integral to keeping conversations and engagement with customers. In its Airline Social Media Outlook for 2017, SimpliFlying found that social media teams have proven critical to airlines even in handling travel disruptions. SimpliFlying initiated the command center strategy for Cebu Pacific in 2016. Nigam noted that, "Cebu Pacific is the first low-cost carrier in Asia to invest in a 24/7 customer command center. It is a testament to Cebu Pacific's commitment to its customers, by using social media to reach and respond to passengers when it's needed the most." The new CEB Customer Command Center is the result of a broader transformation across the airline, where customer care and passenger experience are increasingly entrenched in the airline's operations. Recently, CEB has allocated over PHP100 Million for 35 DPLs (Disabled passenger Lifts)—the first carrier to invest in facilities that cater to the needs of Persons with Disabilities (PWDs) and Persons with Reduced Mobility (PRMs). The DPLs will allow PWDs and PRMs to board and deplane aircraft safely, easily and more comfortably. The Philippines' leading carrier, Cebu Pacific (PSE: CEB), is set to roll-out Disabled Passenger Lifts (DPLs) in key airports nationwide. The DPLs which would allow Persons with Reduced Mobility (PRMs) an easier and more comfortable boarding experience on Cebu Pacific flights. CEB has invested over PHP100 Million for the procurement and installation of 35 brand-new DPLs. The first DPL was installed in the Ninoy Aquino International Airport Terminal 3 in March 2017 for testing and evaluation. Since July 2017, the DPL has been used to lift PWDs, pregnant and elderly passengers on a limited number of CEB flights. Michael Ivan Shau, Vice President for Airport Services of Cebu Pacific said that the rest of the DPL units would be installed starting 2018. Six more units would be placed at the NAIA Terminal 3, with the rest deployed to other CEB hubs across the country, namely, Clark, Kalibo, Iloilo, Cebu and Davao; as well as high-traffic airports across the country with CEB operates flight using Airbus aircraft. Target completion is by June 2018. "We are looking at initiatives to improve the passenger experience for everyJuan. For our PWD passengers and those with reduced mobility, we recognize that the experience of being lifted manually can be uncomfortable. Investing in the DPLs will allow us to board and deplane passengers with reduced mobility safely, with minimal discomfort," said Shau. In 2016 alone, over 43,000 passengers availed of wheelchair assistance from the check-in counter. Of this number, more than 14,000 were wheeled from the check-in counter and carried to their seats in the aircraft. The DPL was introduced in 1998 by international aircraft service provider Airport Maintenance Services– Ground Service Equipment to give airports a safe, comfortable and dignified way to get PRMs on and off aircraft. The DPL allows PRMs, as well as their companions or service agents to board the aircraft or deplane via the aircraft door designated by the airlines. To date, there have been at least 500 DPLs used worldwide. For PWDs and other PRMs who need wheelchair assistance, they simply need to tick the box indicating this requirement upon booking their flights.